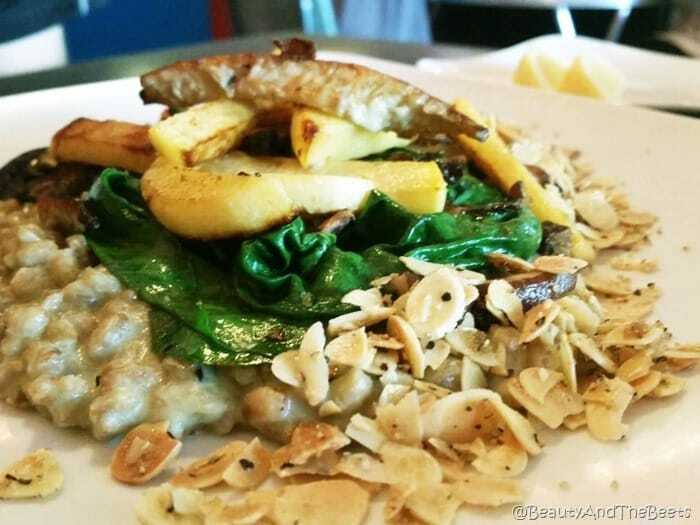 Mr. Beet and I love to find Vegetarian and Vegan restaurants when we travel. These are the places that are creative with vegetables and grains and give us great ideas for cooking at home. One such place we visited in Raleigh, North Carolina called Fiction Kitchen was very inspiring for us. I started with the soup of the day and I knew from that first taste I was hooked. 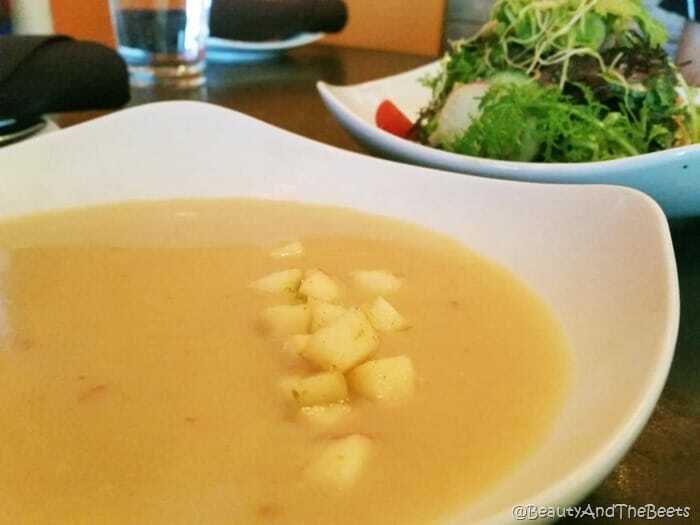 A local turnip and potato cream soup with chili, lime, and diced lady pink apples. Just bring me the pot please, this soup was fabulous and on the list to try to recreate at home. Mr. Beet started with a simple house salad with cherry tomatoes, radish, cucumbers, and sprouts with a ginger miso dressing. 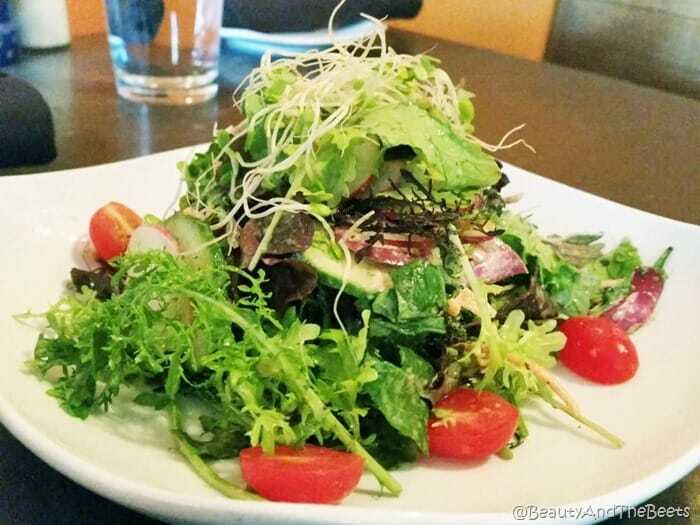 There is nothing better than a beautiful plate of fresh and bright vegetables. We went simple with the meal, ordering a few appetizers and a couple of entrees to split. 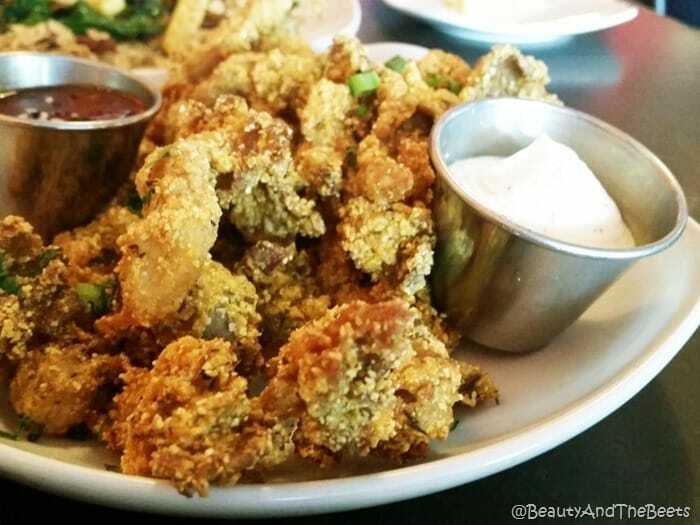 I loved the Cornmeal Fried Mushrooms with dill aioli and a spicy sweet chili sauce. I love that the vegetables are all locally sourced as well, including the oyster mushrooms used for this dish. 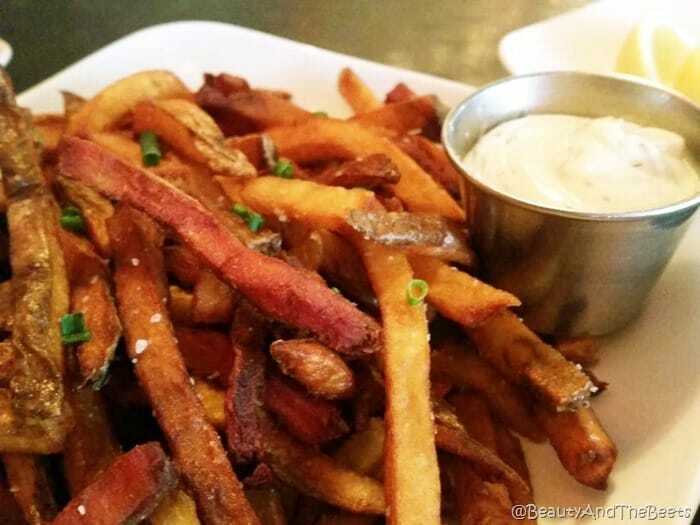 We enjoyed the large plate of Root Vegetable Fries with beets, sweet potatoes, and white potatoes. We asked for both of the offered sauces – the chipotle buttermilk was my favorite but Mr. Beet preferred the spicy peanut. The entree that caught my eye on the menu was the Grilled Romaine Salad. It was simply amazing and now also on my list to try to recreate at home. 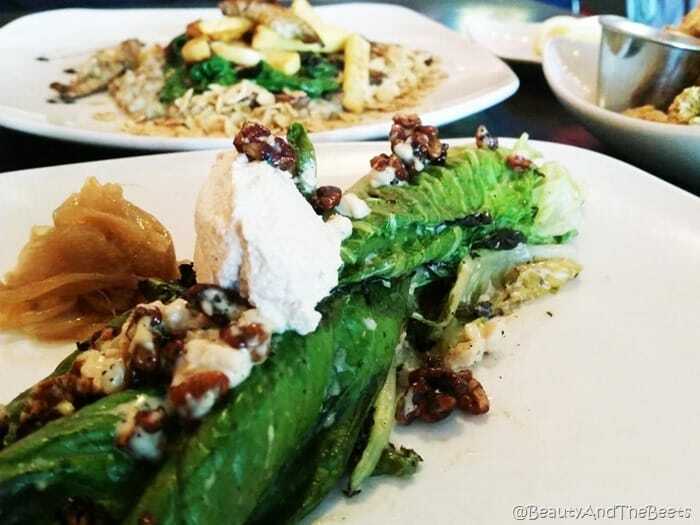 Grilled romaine lettuce served with a Vegan cheese, Vegan Caesar dressing, onion jam and candied nuts. Who knew grilled lettuce could be so good? Lastly we tried the Seasonal Risotto entree with Carolina Gold rice risotto, wilted greens, mushrooms, and a basil pistachio pesto. Absolutely heartwarming. 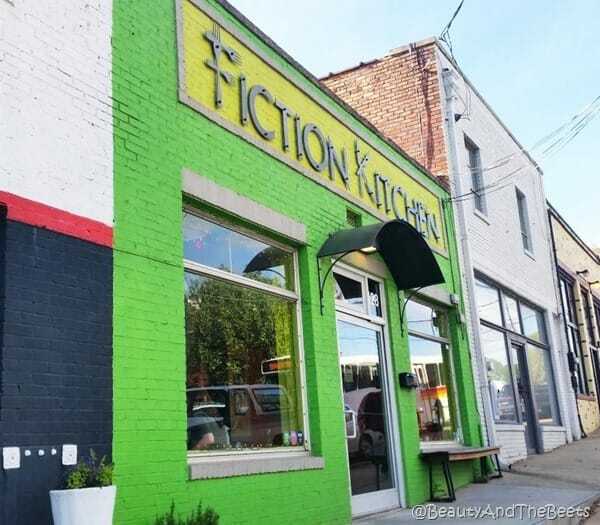 Fiction Kitchen is located just on the edge of downtown Raleigh and parking can be a bit tricky. However, it is 100% worth the minor hassle. An easy 5 out of 5 sprouts.